For secure self storage in Milton Keynes, there’s a Safestore close to Stadium MK, IKEA and Mount Farm Park - we’re easy to reach by road, rail and bus and have storage units in a wide range of sizes at affordable prices. If you have SATNAV, our postcode is MK1 1HW. From the A5, follow Bletcham Way towards Bletchley and turn left onto Bond Avenue; we’re on the left on Bilton Road. If you’re travelling by rail, we’re conveniently located close to Fenny Stratford station or a short taxi ride from Bletchley station. By bus, alight on Bletcham Way near the Mount Farm Park - bus numbers 5, 9, 70, 150 and F70 will get you there. At Safestore Milton Keynes you can access your belongings 24 hours a day and our large car park, covered loading bay and drive up room access make it really easy to load and unload your belongings. Some of our units have extra high ceilings, and we have a forklift service and trolleys available to help you. Many people choose to use Safestore because of our flexible contracts. We have units starting at just 10 sq ft (our video guides can help you to decide how much space you need) and you can change units whenever you need to increase or decrease the size of your storage space. The minimum period for renting a unit with us is 7 days (at a very low weekly cost); you can stay for as long as you want after that with no long-term commitment required. Call us or book a unit online - you don’t need to pay a deposit and if you’re unsure of how much space you’ll need, have a look at our video guides or speak to one of our helpful, friendly team. Milton Keynes was one of the planned towns created to accommodate a booming population in the 1960s. The design and layout of the town may be maddening (with all its roundabouts) but it does mean that you can get from one side of the town to the other in very little time and with few traffic snarl-ups. It’s also relatively flat, so cycling is easy and facilitated by the well-appointed redway cycle lanes. The schools are good, the house prices are reasonable and accordingly Milton Keynes has become a popular commuter town, and not just for those working in London - there are good rail and road links to Oxford, Cambridge, Birmingham and Manchester. There are loads of other reasons why you might like to live and work in Milton Keynes, and if you need storage for your home or business then we have plenty of flexible storage options to meet your needs. Whether you need storage for household goods, business-related items (stock, archives, plant and machinery) or student belongings, give us a call or book online to quickly and easily arrange clean, dry and safe storage at our Milton Keynes store. We have a range of storage solutions at Milton Keynes Safestore, whether you are moving house or just need some space to store your things. Use our storage size tool to help you decide what you need. 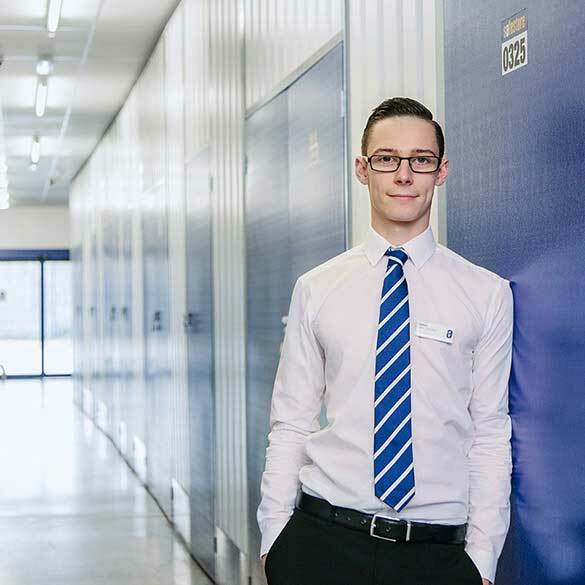 Get 50% off storage for up to 8 weeks at Safestore Milton Keynes with no minimum stay. Offer available at all UK Safestore centres. Get a storage quote at Safestore Milton Keynes today and reserve a unit for free. When you move in we won't need a security deposit either. Get 20% off at Safestore Milton Keynes if you agree a stay for longer than 12 months. Terms apply. Ase Removals are your one stop shop for moving your belongings into your local Safestore! FREE estimates – we’ll come and have a look first!